Despite Din Tai Fung being around for many years, this is only the second time I have visited this place. Why? 1) The queue is always too long. 2) My family doesn't exactly crave for dimsum very often. But after finding out that they had launched a new menu with options available for vegetarians, I knew I had to go back to give their food another go. And last night, I finally did. Since we had some things to settle at Parkway Parade, we decided to visit the outlet there. We reached at around 7.20pm and as expected, there was a herd of people standing outside the restaurant waiting for their queue number to be called. We waited for about 20 minutes, which was pretty reasonable considering the large crowd. Even though there were seats provided outside the restaurant, they were insufficient to cater to the large crowd, resulting in quite chaotic scene outside the restaurant. Since Din Tai Fung knows how popular their restaurant is, I think that they could possibly afford to provide more seats outside their restaurant (like Tim Ho Wan) to organise their queue better and provide a better waiting experience for their customers as well. 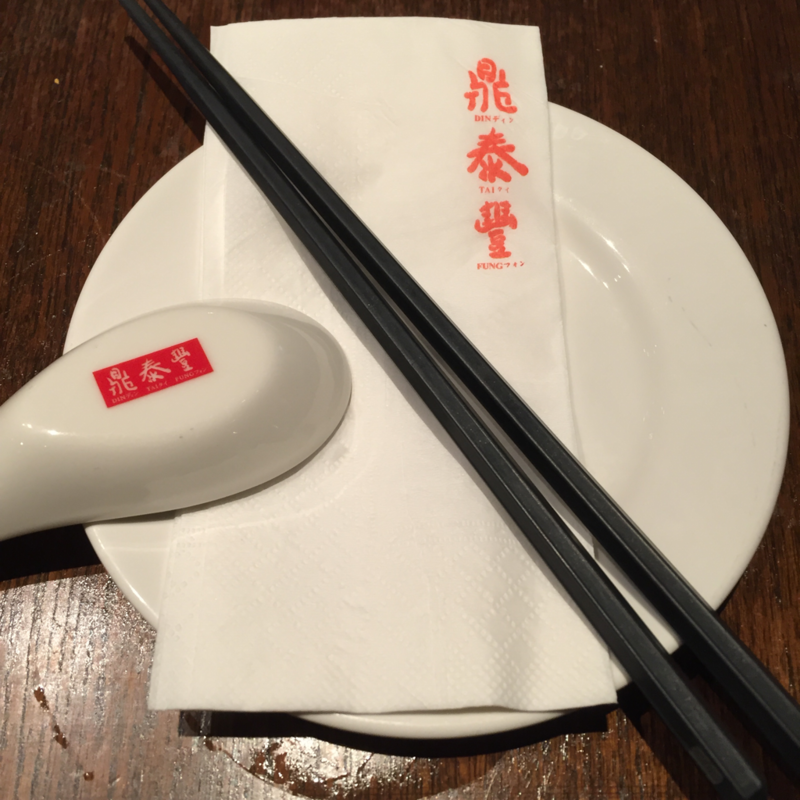 Every time I walk past Din Tai Fung, I always see almost every single table having one of these on their table. Since it was also one of their signature dishes, we decided to give it a go. 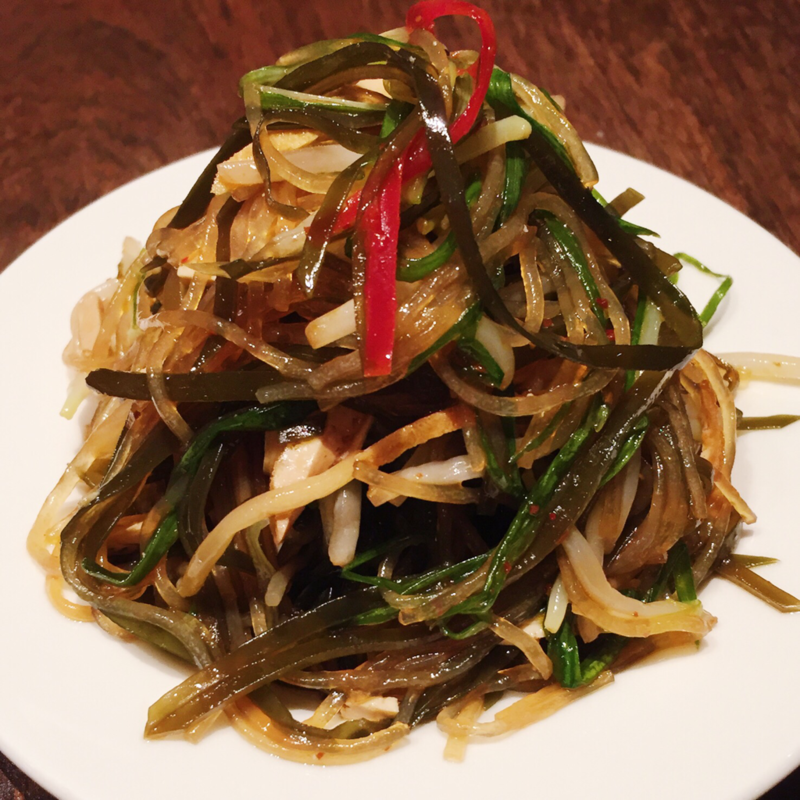 The glass noodles were slippery and smooth, which went perfectly with the still slightly crunchy vegetables (beansprouts, peppers, seaweed). I also liked the slightly sour taste from the vinegar but felt that the dish could be improved with a bit more seasoning (maybe some more sesame oil if there was any, more salt and maybe a sprinkle of sesame seeds on top). But overall, I liked it quite a lot and polished it single-handedly without any problem. 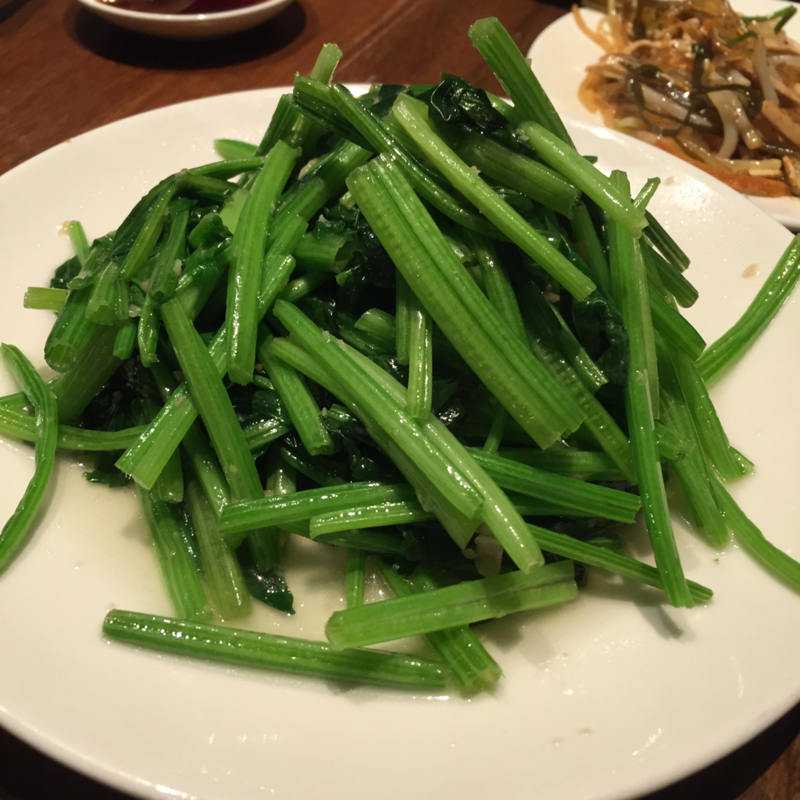 My brother, being a fan of spinach, had to order a plate of this. However, I felt that $9.80 is way too overpriced for this dish, considering that the spinach had a bitter after-taste and were slightly under-done. I felt that the sauce was not tasty enough as well and barely any garlic was seen (as you can see in the photo above). Not recommended. 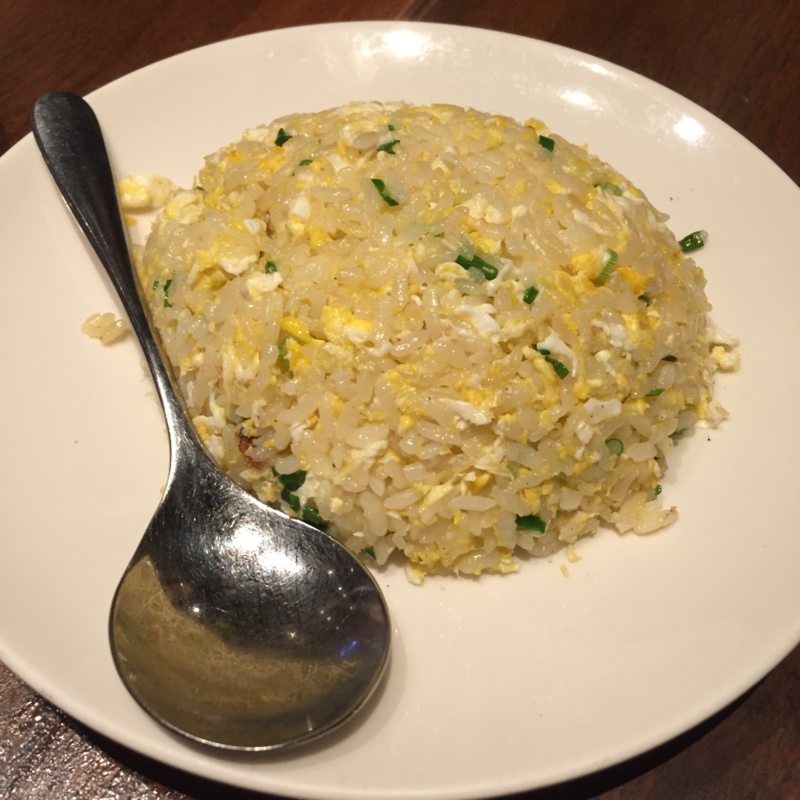 Fried rice with eggs - a must order every time we come to Din Tai Fung (only the second time lol). This is the reason why it is one of their signature dishes. The pearls of rice are chewy yet well-fried, the eggs are incorporated well into the fried rice, the addition of the spring onion gives a nice addition of flavour and most importantly, the fried rice is not too oily unlike other ones I have tried! 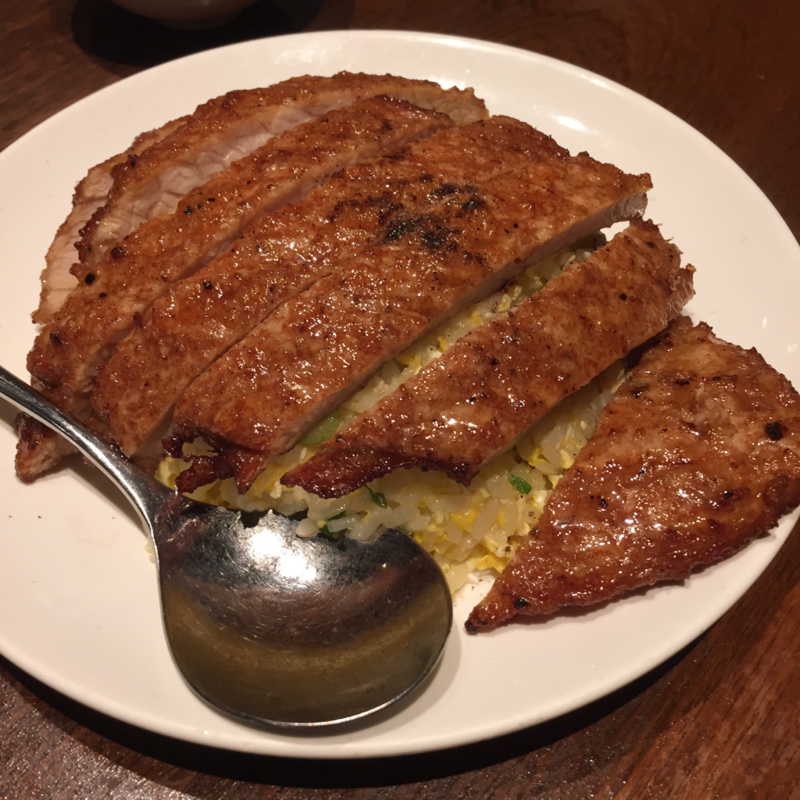 Basically the same as the one above but topped with pork chop. Evidently, didn't try the pork chop but my dining partners said that it was good. Another signature from Din Tai Fung! During my last visit when I was still a meat-eater, I tried out their Steamed Pork Dumplings but didn't find anything spectacular about it. But that may be because I am generally not a xiao long bao fan. 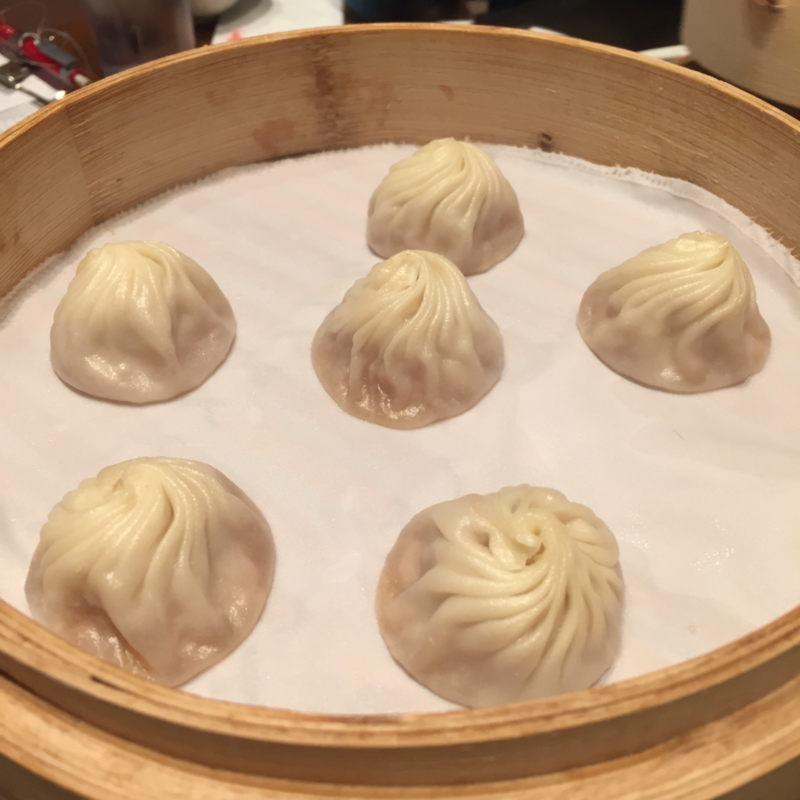 My dining partners, who aren't big xiao long bao fans either, also commented that they weren't spectacular. 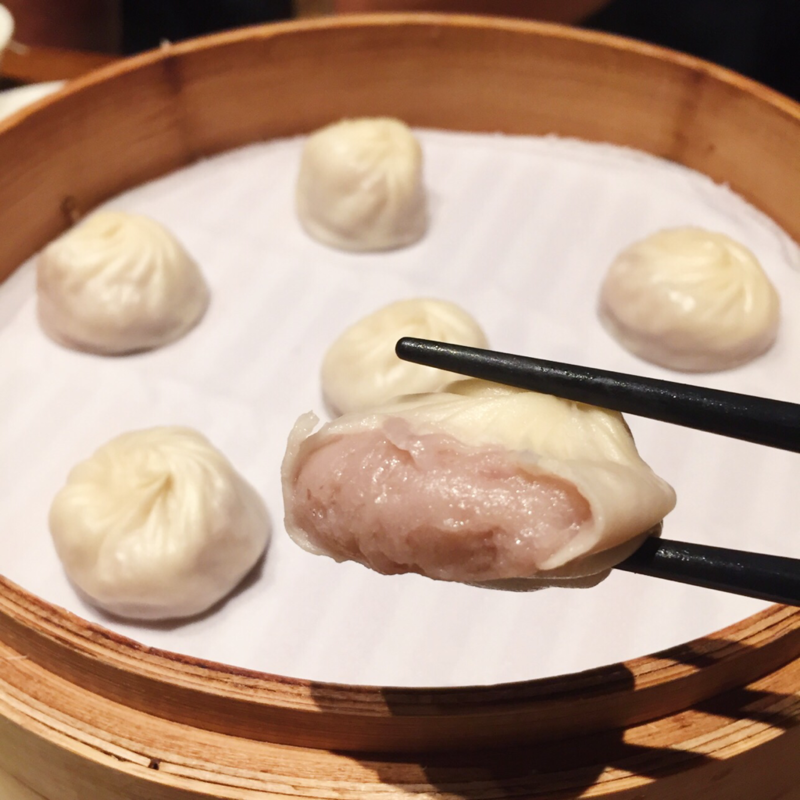 One of the newest additions to the Din Tai Fung menu! 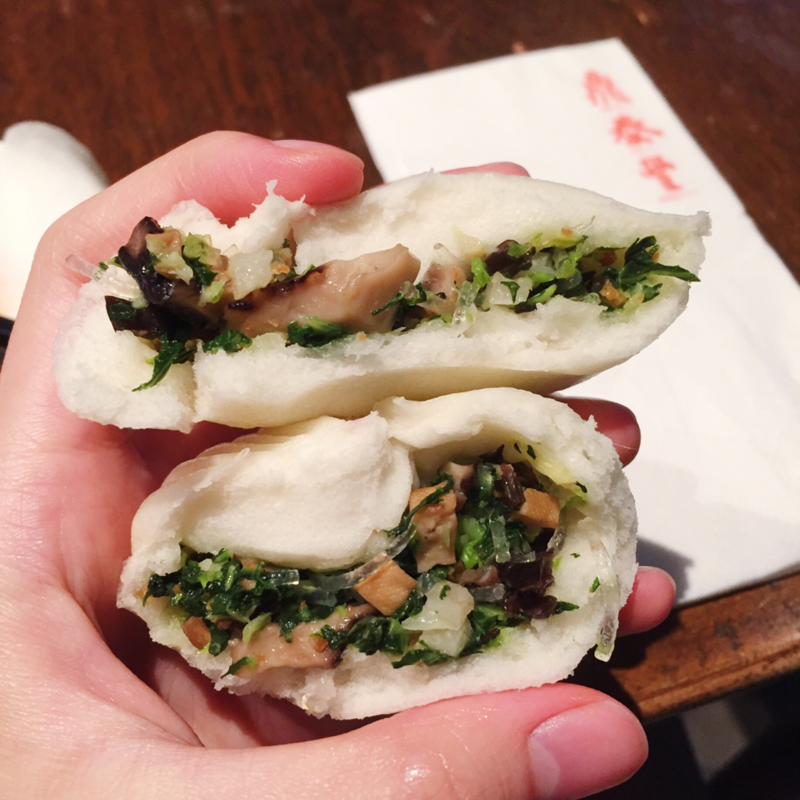 Other than this Steamed Vegetarian Bun, they also have one whole range of steamed buns such as steamed vegetable & pork buns, steamed pork buns (char siew, I pressume), steamed red bean buns (dou sha), steamed yam buns, steamed sesame buns (zhi ma). I was highly compelled to try the last three on top of this bun but sadly, due to limited amount of tummy space, I could only order one. So I decided to get the seemingly most unique one out of all since red bean and yam buns are extremely common and I have tried AMAZING sesame buns from other places before (Bao Today, bao jing tian, FYI). Since my dining partners weren't that keen on trying this, I just got one piece to try. When I tore it open, I nearly burnt myself with the steam that escaped from the hot vegetable fillings. The filling looks like it is made out of chives, spring onions, tofu, mushrooms, vermicelli, cabbage and black fungus, though I may have added or missed out some ingredients. The filling was dry and under-seasoned. In that sense, It is definitely a healthy vegetarian option but not one that I would order if I am craving for something to tantalise my tastebuds. Dumplings stuffed with the same fillings as that of the vegetarian buns! I felt that on top of the mediocre-tasting fillings, the dumpling skin itself was also a bit thick and chewy. However, in this case, the tasteless fillings could be overcome by drowning the dumpling in vinegar and topping it with a few pieces of finely chopped ginger, which definitely adds great flavour. One of my two favourite dishes of the night! As everyone should know, I am a HUGE fan of yam (on top of all other root vegetables like potatoes, sweet potatoes, etc.) especially when made into desserts like orh nee and bor bor cha cha... HEAVEN. 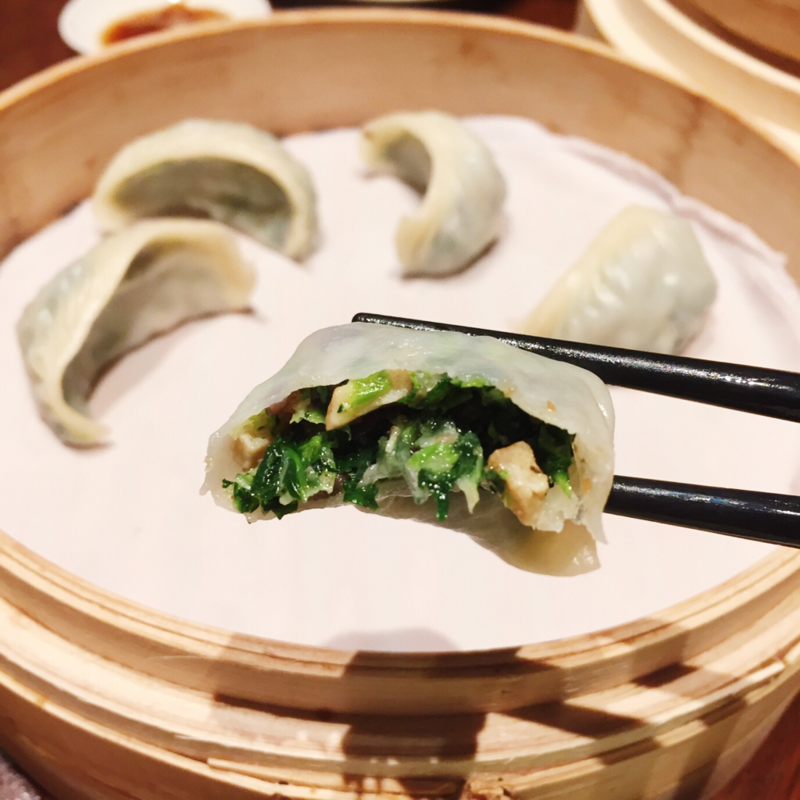 ​This steamed dumpling reminded me of a thicker, less sweet version of orh nee, stuffed in the xiao long bao skin. I would have preferred to be served these cold though, and maybe with a slightly creamier, lighter and sweeter yam filling and a thinner dumpling skin. The other star of the night! Anyone can probably guess that I have an undying love for red beans (and all other beans, from green beans, black beans, edamame beans and garbanzo beans aka chickpeas), especially in its sweet mashed form inside breads (ANPANS ARE GLORIOUS), on top of ice creams (MATCHA SOFTSERVES, in particular), in soups (red beans, unmashed in this case, oh the wonderful harmony of red beans and sweet potatoes), etc. ​This red bean dumpling definitely hit the spot for me, though like what I mentioned above, I would have preferred to have eaten it chilled (maybe it'll taste like mochi, who knows), with maybe a bit of bite added through some non-finely mashed red beans (unlike what its name suggests) and perhaps a tinge more sugar added to the fillings! However, overall these were DELICIOUS and when I say delicious, I means I-can-eat-five-baskets-each-of-yam-and-red-bean kind of delicious. 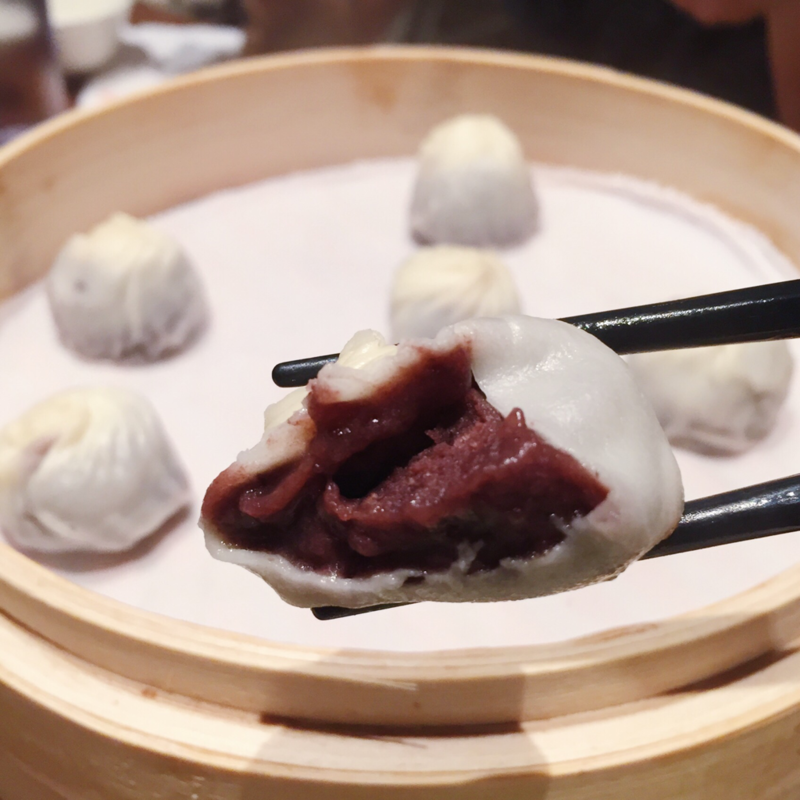 After trying these two sweet versions of steamed dumplings, we were highly tempted to try the chocolate red bean ones as well, as recommended by my friend. But sadly, our bellies were way too full at that time to stuff anything else in. Sobs, I'm pretty sure that would have tasted REALLY GOOD. 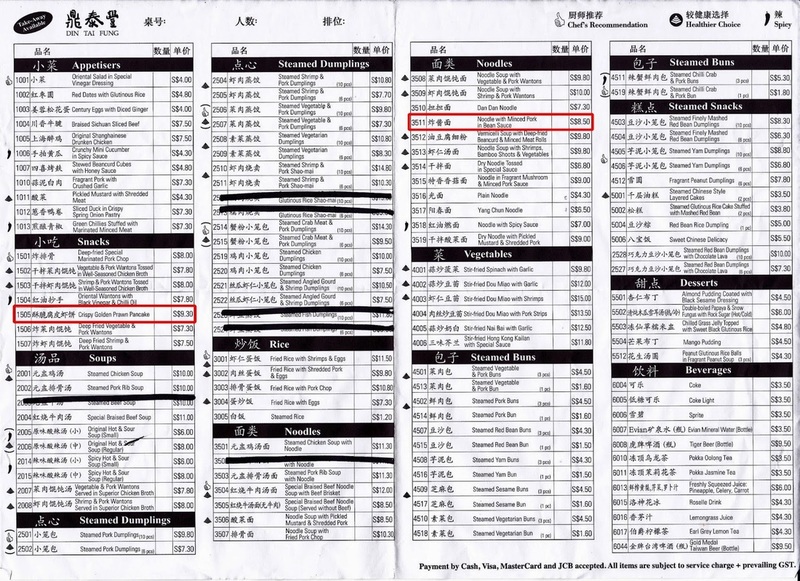 Overall, I must say that I am pretty glad that I decided to give Din Tai Fung a second try thanks to their new menu. Their prices are really steep though, so it definitely will not be a restaurant we will dine at that often, considering the fact that none of us in my family are even that dimsum-obsessed. This restaurant wasn't and still isn't top on my list, but if you were to come try their food, I would definitely recommend the steamed yam and red bean dumplings (if you are fans of these ingredients like I am).